Perfected on-set in Smashbox's L.A. photo studio, this long-wear, water-resistant liquid lipstick features Advanced Polymer Technology that makes it stay put and look as fresh and flawless as your first swipe - for up to 8 hours. Featherweight but fierce, this liquid matte formula is infused with lip-smoothing Primer Oil complex for suede-soft lip color in 20 super-rad shades. It's smudge-proof, budge-proof and non-feathering. Now available in a range of new metallics, bolds and nudes! Explore the entire range of Liquid Lipstick available on Nykaa. 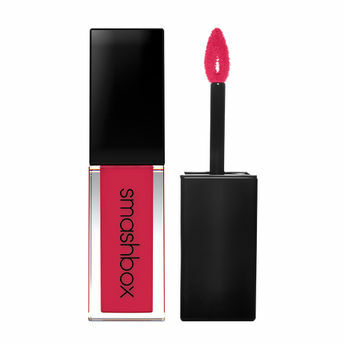 Shop more Smashbox products here.You can browse through the complete world of Smashbox Liquid Lipstick .Alternatively, you can also find many more products from the Smashbox Always On Liquid Lipstick range.